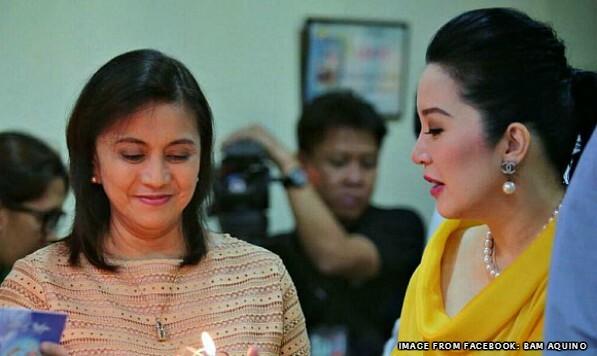 Vice President Leni Robredo finds an ally with Queen of All Media, Kris Aquino amid Tuesday’s belittling ‘INCOMPETENT’ remark, who unlike President Duterte, believes that she (Robredo) is ‘fit’ to lead the Philippines. 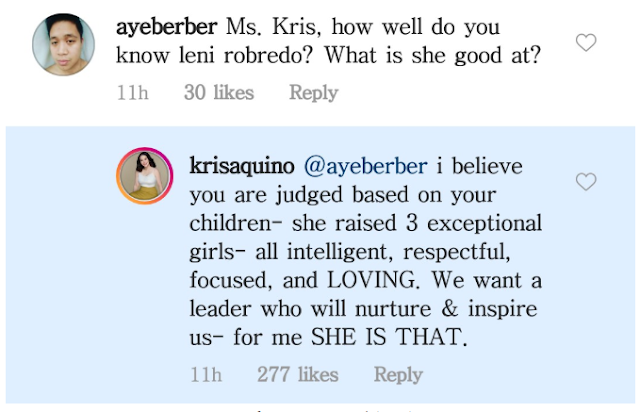 Kris Aquino revealed during an Instagram ‘Question-and-Answer’ session with her followers on Wednesday that the country is need of a leader ‘who nurtures and inspires us’ - referring to Robredo’s character as a mother of 3 ‘exceptional’ children. The series of what appeared to be a casual ‘dialogue’ between Kris and her followers began when a @wolfruler8 asked @krisaquino, saying: “Do you think VP Leni is competent to become president?”. The media personality simply replied, “of course”. Despite shortcomings on her political career, Leni Robredo, as a mother, had more than enough reasons to celebrate this year particularly with her daughters’ academic achievements. Aika, her eldest, accomplished a Master’s Degree in Public Administration as a Scholar in Harvard University. Tricia, her 2nd child, pursued Ateneo School of Medicine and Public Health and is now on her senior year. Her youngest, Jillian, turned 18 this year and passed both University of the Philippines’ (UP) and New York University’s (NYU) admission tests.